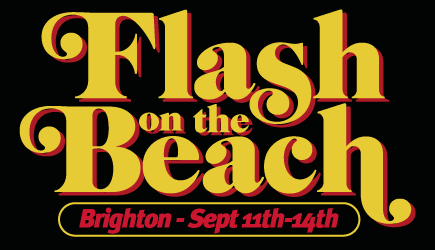 Get a FREE IntelliJ IDEA license at Flash on the Beach Conference! We are happy to announce a raffle of personal IntelliJ IDEA 10 licenses for those who plan to attend Flash on the Beach conference this September! 1. Print or paint the IntelliJ IDEA logo. 2. Take a crazy creative picture of yourself and our logo. You can share it on Twitter with #FOTB and #i_love_intellij hashtags. 4. Collect your IntelliJ IDEA license – for FREE! at JetBrains stand during “Flash on the Beach”! On the last day of FOTB we’ll raffle an iPad 2 among our fans who sent us their photos! 3 Responses to Get a FREE IntelliJ IDEA license at Flash on the Beach Conference! Awesome. I have an IntelliJ logo in my twitter avatar all the time. I’ll see you at FOTB. Yes, we have already noticed it in Twitter, thank you! Pick your license at our booth at FOTB.